Henry Butler, Voice of the Wetlands, Tab Benoit, Papa Mali, Gatemouth Brown, Earl King. 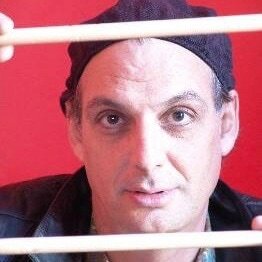 BIOGRAPHY: NOLA native drummer Chris Lacinak began recording original music on a 4 track recorder and performing full-time in 1992. A few years later a friend loaned him an Adat 8 track. Armed with the portable device he began enlisting musicians to work on his compositions and he continued developing his sound and skills in that way for several years. He began his own Drum Parade label in 2003 with the release of Primitika. Through Drum Parade he also self-released five recordings of his original music: "Boom," a jazz sensible project, was introduced at the New Orleans Jazz and Heritage Festival in 2004. Following the devastating flooding of his recording studio and home in New Orleans, Chris relocated to Colorado. There he began playing gigs with his friend Frederick "Shep" Sheppard under the name The New Orleans Heard. Chris decided to record Shep on a featured record. Shep played with Fats Domino, Ray Charles, and Treme Brass band but he never had a featured recording. With the help of Renew Our Music and The Jazz Foundation of New York City, the sessions were recorded in January 2007. Two releases were produced in Boulder,CO during four days. "Tradition" (The Habari Gani Sessions) and "Habari Gani." "Tradition" was nominated for best contemporary jazz cd of 2008 by New Orleans Music Mag. Following those sessions, Lacinak took a break from recording and spent a good amount of time on the road jumping between performances with Henry Butler and Papa Mali. Lacinak's latest release "Jamkronic," and project Junko Beat debuted in 2016, and took him away from the road. The band spent two years developing the music.